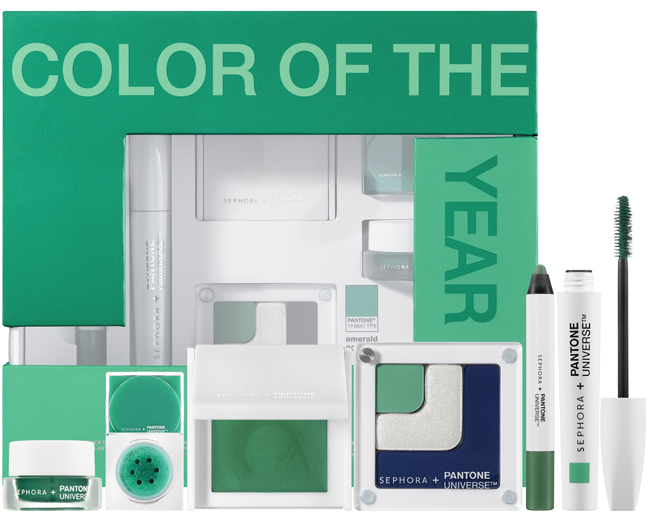 I'm not entirely sure that Pantone's Colour of the Year announcements aren't self-fulfilling prophesies. Nor am I all that comfortable really with the makers of my printing swatch book (or at least the descendants of the makers of my swatch book) should be informing me of what colour I should be filling this season's wardrobe with or indeed, which hue my eyelashes should be. In any case, I have to admit this is a fun idea and a nice way to introduce the graphic designers' referencing system to the shiny white tiled floor of David Jones. Buy it online at Sephora.